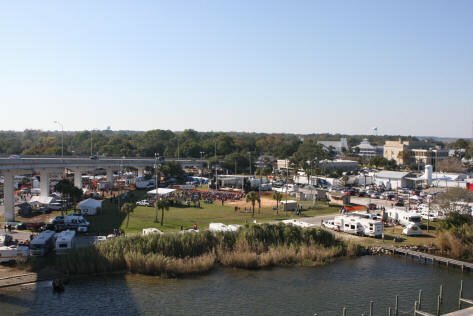 The Florida Seafood Festival has primitive camping spaces available on first come first serve basis. Most spots are located on the Apalachicola River. The Spaces are $30 a day starting Thursday plus an additional $5.00 for any occupants on Saturday. All campers should enter at the Water Street gate and wait for a director to tell you where to park and collect the fees.